This Argentine road movie follows a pair of likable fugitives who flee from Buenos Aires into the country's heartland with $500,000 in cash and become national folk heroes along the way. 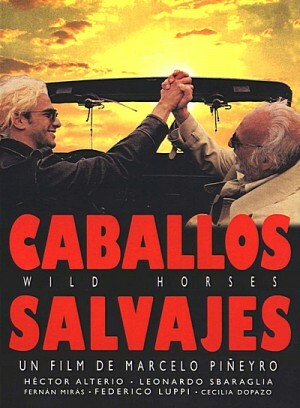 As they head into the country's rural backwater, Jose (Hector Alterio), a 70-year-old self-proclaimed anarchist, and Pedro (Leonardo Sbaraglia), a young hotshot businessman, are pursued by bumbling television reporters, the law and ruthless thugs. After only a day or two on the road, the pair find themselves nicknamed "the untameables," their pictures splashed across newspapers and their families interviewed on television. On their way south, on the lonely road through the pampas, they pick up fellow outcast Ana (Cecilia Dopazo), who becomes Pedro’s gutsy love interest.